Pakistan is now ready to enter the field in full regalia. Prime Minister Imran Khan has chosen his first Cabinet members and made his first speech to the nation. Each of his appointments reveal something not only about his own mindset, but also the pressures of a lack of majority in the National Assembly. Many believe that it also reveals the priorities of the establishment, but that, in all fairness, is something all heads of state of Pakistan contend with sooner than later. Critics say that where Imran is concerned, it will probably be sooner. With this being his first term in office, Imran is something of a mystery to Pakistan’s neighbours. His personality traits are becoming clearer by the day, and these will likely guide his interactions with Cabinet members, most of whom — some with considerable experience and baggage — will ultimately influence policy-making. Therefore, a sum of the two — leaving out the military for the moment — may provide some insight into what to expect in the coming months. Imran has often been described as pompous, stubborn and egotistic, not to mention what seem to be extreme mood swings — liberal one moment and an extreme conservative the next. Consider this: While the Pakistan Tehreek-e-Insaf (PTI) chief had supported General Pervez Musharraf’s military coup, he had staunchly refused an offer to become prime minister. That might have been out of basic good sense or principle, but it certainly shows a certain diversity of opinion. There is also the tag of “Taliban Khan” and the equally popular “Citizen Khan”, which reflect his impatience of protocol and pomp when on the campaign trail. Egotism is apparent in his impromptu speeches, which stress “Imran first and last”, sometimes forgetting to even mention his party. But here is one particular character trait of importance: He is dogged in achieving his ambitions, be it for a cancer hospital, or to become a chief minster or prime minister. What he wants, he gets. That might be a problem for some in his Cabinet, and also in the military, especially if he decides — as most Pakistani prime ministers do — to take up dialogue with India. If he starts the process, he will continue with it till he gets what he wants. And at the moment, what he wants seems to be trade concessions for a battered Pakistani economy, which may also include a new Indus Waters Treaty. In Imran’s Cabinet are leaders who have their own, sometimes strong, opinions, and who once marched to a different tune. As the media has already pointed out, nine of 15 ministers and three of five advisers were senior officials in the Musharraf regime. Some of them are still members of the Pakistan Muslim League-Quaid (PML-Q), the party Musharraf had set up with the active assistance of intelligence agencies. An example of a minister still part of the PML-Q is Chaudhry Tariq Bashir Cheema, who was given the portfolio of minister for SAFRON (states and frontier regions). Cheema was once a dangerous name in the student politics of the al-Zulfikar. He had fled to Afghanistan after being released from prison in a trade off. 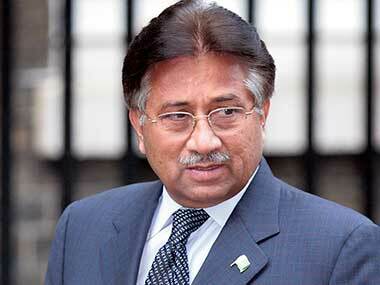 However, he was close to Musharraf through the then secretary of the National Security Council, Tariq Aziz Warraich. The SAFRON ministry will be at the forefront in implementing the process of merging the tribal areas with Khyber Pakhtunkhwa. The legislation signed by the president retains extensive “security” clauses to allow military operations to proceed without hindrance, thus allowing the areas to continue to be used as a jump-off point for the Taliban to operate in Afghanistan. As the ministry will work closely with the provincial government, it would have been more logical to appoint a PTI leader to the position. One can assume that the powers that be have spoken. India need not hold its breath expecting Pakistani operations in Afghanistan to end soon. This is a sign of continuity. The first point of interface for India will naturally be Shah Mehmood Qureshi, now foreign minister for the second term. An assessment by the US Embassy of him indicates that even the top echelons of the Pakistan Peoples Party (PPP) disliked him and advised former president Asif Ali Zardari against nominating him for the prime ministerial post. Qureshi has hardly been blessed with luck. He was in Delhi when the 2008 terror attacks in Mumbai took place. One can only imagine his plight then. Reports from then indicate that the civilian government in Pakistan had tried to cooperate with Indian authorities, with Zardari even suggesting that the chief of the Inter-Services Intelligence (ISI) come to Delhi. The foreign minister had also suggested starting a hotline between the two intelligence chiefs. Highly intelligent and a polished diplomat, Qureshi is also close to the military establishment. Remember that he lost his post as foreign minister after he publicly declared that Raymond Davis, a contractor of the US Central Intelligence Agency who killed two Pakistanis, did not have diplomatic immunity, a stand that put him squarely against the president and Husain Haqqani, Pakistan’s former ambassador to the US. That also meant that he was no longer part of a government that was being quickly shown the door by the ISI. The new foreign minister now says that the government wants “uninterrupted” dialogue with its neighbours. When Qureshi says that, it is not just theatrics. Pay attention. In most countries, the defence minister’s post would be considered one of consequence, but in Pakistan, most people have trouble remembering his name. India has been trying to engage with the defence minister through talks with the defence secretary, but this remains vetted by Rawalpindi, defeating the purpose of government-to-government contact. There is no indication that the appointment of Pervez Khattak, formerly the chief minister of Khyber Pakthunkhwa, will change anything much, except that he is Imran’s long-time friend and trusted inner-line coterie. This means that Imran will be apprised of the activities of the ministry to some extent. The Ministry of Defence is powerful, a virtual custodian of the nuclear weapons laboratories, the Air Weapons Complex, apart from the services themselves. The defence secretary is naturally a retired lieutenant general who can keep the minister “apprised” when considered necessary. Incidentally, he is an air defence specialist. One of the first tasks the defence minister may (or may not) be involved in will be the deal with Russia for S-400s air defence equipment. Meanwhile, there are ongoing charges of corruption against Khattak, which could be used as leverage at any point. Imran’s new Cabinet also has a large group of former Musharraf loyalists. Apart from Cheema, this group includes Information and Broadcasting Minister Fawad Choudhry; Law and Justice Minister Farogh Naseem, who was also Musharraf’s legal counsel; Petroleum Minister Ghulam Sarwar Khan; and among others, Railways Minister Sheikh Rashid, who has been an establishment man since the word go and is also part of Imran’s inner coterie. Then there is Khalid Maqbool Siddiqi, also from the Musharraf era but now head of the Muttahida Qaumi Movement-Pakistan (MQM-Pakistan) after replacing the near legendary Farooq Sattar. He is a direct result of the “assisted splintering” of the original MQM by the combined efforts of intelligence agencies and the Pakistan Rangers. Others from the Musharraf era include Dr Israt Hussain (adviser), who was governor of the State Bank of Pakistan and was awarded the Hilal-i-Imtiaz. Commerce, Textiles and Industry Minister Abdul Razak Dawood was the commerce minister in the Musharraf regime. Three others in Imran’s Cabinet also have the same history, making it a Cabinet that may cast long shadows. There is a military side to Minister of Finance, Revenue and Economic Affairs Asad Umer, as well. This is a man used to the grind of business, having successfully steered a corporate house from million to billions in revenue. He has a huge fan following on social media and is seen as an honest broker without a hint of corruption. Asad Umer is also the son of Lieutenant General Mohammed Umer, who was involved in the 1971 war with India. That cannot be good. However, Asad Umer has to deliver on the economic front, particularly in raising revenue for the state — a key requirement for the International Monetary Fund. If opening trade ties with India, which seems to be on the new prime minister’s agenda, will help deliver the end result, he cannot afford to ignore it. His job is essentially fire fighting on a major scale. Water Resources Minister Makhdoom Khusro Bakhtiar was also part of Musharraf’s PML-Q government and only recently joined Imran’s PTI. 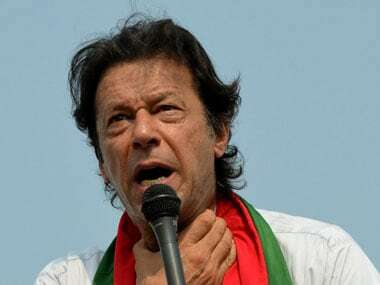 He comes with a law degree from London, which is why his ministry is likely to be a priority for the new prime minister, given how Imran has, time and again, raised the issue of paucity of legal experts in the ministry, which is what he probably attributes to the “failures” of the Indus Waters Treaty with India. More appointments of Cabinet ministers and advisers are expected, as the prime minister eases himself into the driver’s seat. At the moment, it is evident that while Imran may be an unknown entity in power, large parts of his Cabinet are not. This need not necessarily be a bad thing as Musharraf had an ability to pick the best in the business and give them free rein. At this point, it is unlikely that Imran will delegate overmuch, in which case the promise of delivering stability will come to nothing. The nature of South Asian democracies, however flawed, has always been influenced by the man at the top. In Pakistan, the problem does not end with the military being the highest power. A new and unprecedented problem may be that the elected head, never having gone to jail or exiled or otherwise harried, has not yet realised reality to its fullest extent.